For 119 years now, the gun goes off in Hopkington, Massachusetts to start the Boston Marathon, the world’s greatest footrace. Just as surely as the race gets going, so do the dreams of thousands upon thousands of runners across the globe that want to be there next year. But, those standards are tough! 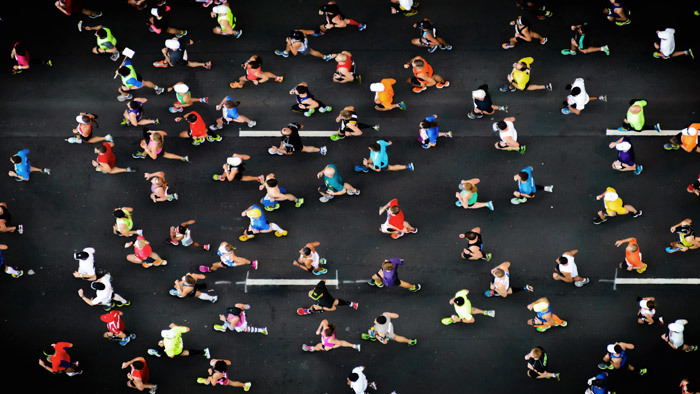 If you are one of those with the dream of qualifying for the Boston Marathon, here are five tips to get yourself on to that hallowed starting line. First of all, let’s talk about the standards. You can find them all on the Boston Athletic Association website. You young bucks in the 18-34 year-old age group have to run under 3:05 (men) and under 3:35 (women). After that, the standards get progressively slower in 5 year age-group increments. For a quick example, a 50-54 year-old male has to run sub 3:30. That is not easy, and I for one am glad it’s not easy. That’s the allure of Boston. You have to qualify. That’s the way it’s been for a long, long time and that’s the way it will likely always be. The fact that the times have recently gotten tougher is a testament to the worldwide running community. That community is larger than it’s ever been and, despite what some old curmudgeons might tell you, there are a lot of people that take their training very seriously. Every mile counts when it comes to the marathon. It’s not just about what you’ve done in the 12 to 20 weeks leading into your qualifying attempt. It’s about how many cumulative miles you have on those legs for months and months and even years and years. That doesn’t mean that you have to train specifically for the marathon all the time. I certainly recommend breaking things up with training segments geared toward shorter races, longer races, trail races, etc. Whatever suits your fancy. But keep your eyes on the prize. On the nastiest day of the winter or the hottest day of summer, just remember that Boston qualifiers often come down to a matter of seconds. Again, every mile counts. My college coach was an “old school” guy when it came to coaching. He hated when we fell into that trap of what he called “training to train.” His point was that racing was hard so training needed to be hard, when appropriate of course. My point to you is that when you’re training for the marathon you need to do workouts that simulate what you’re going to face on race day. Qualifying for Boston is very time-oriented. You need to be able to lock into a certain pace for a very long time. So your biggest sessions in training should be long, grinding efforts that do just that. A 16 mile steady state effort, for example, is much better prep for a marathon than a set of 400s on the track. Not that there isn’t a place for some speed days, but the bulk of your major workouts need to be race specific. There are plenty of proven coaches and plans out there. I’m not a plumber. When my toilet’s broken I call a professional. If qualifying for Boston is important to you, then I highly recommend seeking professional guidance to get you there. The process of finding a coach isn’t that difficult and it’s worth it. A coach or a plan will help you navigate everything I talked about above. After all, it’s one thing to know that long, grinding workouts are important but it’s another thing to know when and where to insert them into your training and exactly how to execute them. Much like the marathon itself takes a tremendous amount of patience, so does training for one. If you’re someone who is still quite a ways away from qualifying for Boston, understand that no coach or plan is going to necessarily get you there the first time around. In fact, I highly recommend setting a goal of an intermediary time before actually going for the big one. Set yourself up for success. You’ll learn a lot more about the marathon by actually competing all the way for 26.2 miles than you will by blowing up at mile 13 and suffering home. This may be last on my list but it’s certainly not least. I have watched many a runner get obsessed with his or her BQ, to the point where it was no longer fun. Remember that running is your passion and hobby and leave the stress for work. If you ever find yourself treating running like a job, even for the most serious among you, please step back for a minute. The the ability to possibly hit a BQ is something not everyone on this planet is fortunate enough to have. Show me a happy runner and I’ll show you someone with a fighting chance to hit a BQ. Show me a stressed-out runner and more often than not I’ll show you someone who’s physically and emotionally drained come race day. Don’t be that person.